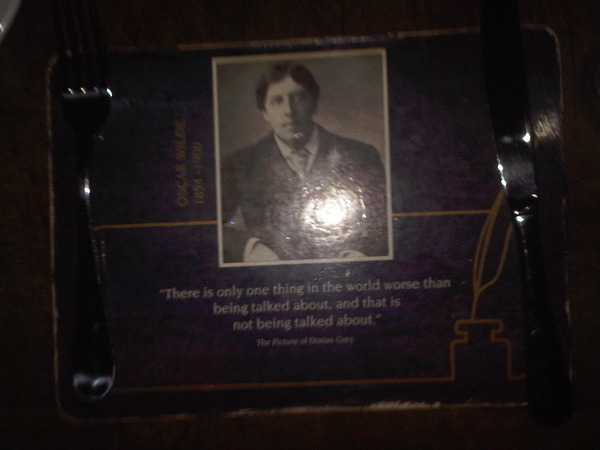 "There is only one thing in the world worse than being talked about, and that is not being talked about." My boyfriend is coming today!!! I am SO excited :), obviously. It's crazy to think that we've now been "officially" together for over a month and still haven't seen each other, well in person at least. (Thank god for video chat!) I'm so glad he's coming, it'll finally make it all seem more real haha. Don't get ahead of yourself, he's not gonna be here for as long as you'd imagine/i'd like. Since he has an insane work schedule his "weekends" are actually Wednesday/Thursday, which is why he's heading up today, his "Friday." The great thing about that schedule is that it'll help when he's coming up for interviews. He's able to come up here at the drop of a hat (and a hefty price) without having to request any time off. shadowing/meet-and-greet kind of thing with his company's New York branch. But that's about it. The upside is he'll get to spend more time hanging out with me! I took Thursday off and'll probably be able to escape late tomorrow afternoon. I can't always explain why my mind goes to the places it does. Sometimes it just takes off. I was watching an episode of Justified (which I'm still undecided about, but my love for Timothy Olyphant has kept me interested) when a scene with several men wearing the traditional black and white striped prison suit made me think of The Hamburglar. And it struck me - why did The Hamburglar run around in that same prison outfit? Given the evidence below, it's safe to say he is not in custody. So why the outfit? Can we assume that the Hamburglar spent a considerable amount of time in jail? Did he escape? Did he somehow work the system to get out early or is the jail sentence for hamburglary just not so lengthy? AND, whether he was freed or he escaped, if he is back out and up to his old burger stealing ways, would he really want to attract all that attention by walking around dressed like a convict? I think McDonald's probably should've put a little more time into developing his character. And don't even get me started on Grimace. I mean, what IS Grimace? This is one of those new york things that just doesn't happen. 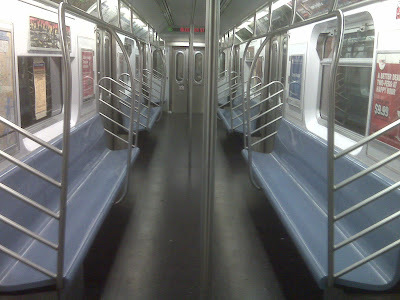 Never have I had an ENTIRE subway car to myself. Ever. It's probably even stranger for me to admit that it's one thing I have always wished for. But I imagined I would at least be with a friend and we could act ridiculous, play around on the poles and take LOTS of silly pictures. But instead I sit here all by myself. Wondering if someone will hop on at the next stop and disrupt my solitude. Or worse, imagining the next person to step on will be someone I would not want to be stuck in a small space with... I'm thinking of that Jodie Foster movie, The Brave One . But as a New York woman, always making my way around the city alone, I decided It would be a good idea to never watch that movie! 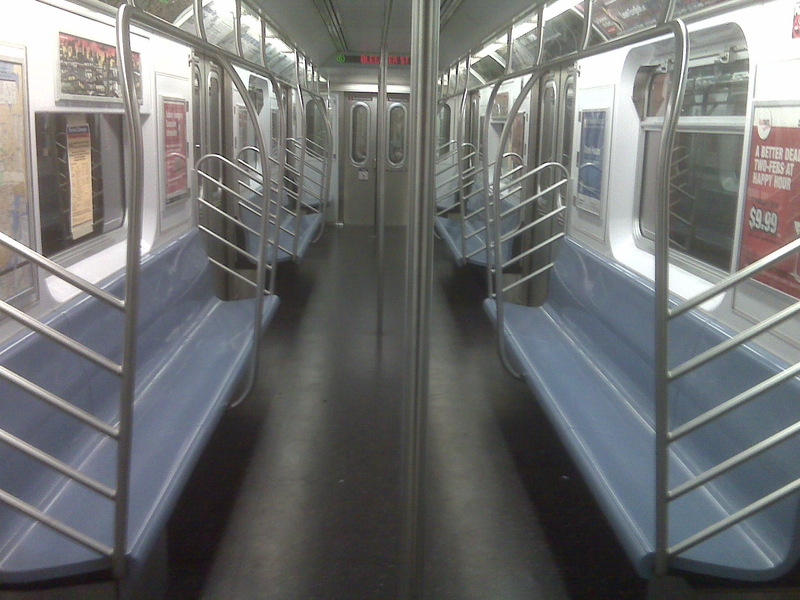 It took over two years for me to end up all alone in a subway car, will it take that long again? I just hope it could happen at more convenient opportunities. Like the time my cousin wanted to show me a few of her pole dancing tricks. Haha, don't get carried away, she's not a stripper. She's actually a very conservative, petite, soon-to-be lawyer who happened to get REALLY into S Factor's pole dancing classes. And you can't blame the girl. It's supposed to be a great workout. I've always wanted to try it, but I'm so spastic that it would probably be completely embarrassing. Hopefully it happens again when I can enjoy it in good company!